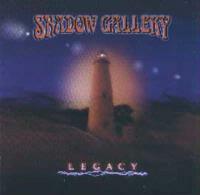 Legacy is Shadow Gallery's fourth disc, and certainly one of their best. Those who consider Shadow Gallery to be prog metal rather than straight progressive rock should really give this disc a listen. Certainly there are plenty of metal influences, but there are also lots of moments that are much more closely tied to classic progressive rock. The songwriting on this album is impeccable, as are both the performances and the production. The music ranges from metallic stylings to more sedate elements to powerful prog wanderings. 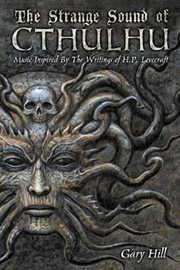 The final cut on the CD is a 34-minute epic that will definitely keep you on your toes. This piece is certainly one of the best the band has done yet, and, without question, is the creative pinnacle of the album. All you can say at the end of the adventure of this composition is "Wow." A hard rocking prog powerhouse. This one covers a lot of varied musical ground, at times leaning towards Eastern sounds, other times metallic and others very progressive in texture. An extended cut, this one is very strong. The instrumental break rips out in frantic prog fashion. It is quite original, although with minor Dream Theater oriented leanings. Piano starts this number in dramatic fashion. As the vocals and guitar enter, the cut begins a slow building process. This one is very evocative. It gets quite powerful from time to time. A great balladic prog texture begins this number and the cut begins a gradual buildup based on this style. This is a very strong cut in a very retro prog mode. Starting hard edged, a bit like Royal Hunt or classic era Queensryche, this is a metallically oriented prog number. The title track, this one is fast paced hard-edged prog a bit on the order of Dream Theater. At over 30 minutes in length, this one certainly qualifies as "epic". It starts in atmospheric tones, building slowly getting quite mysterious in texture at times. The composition moves into a highly developed lushly arranged sort of acoustic prog balladic style. It continues on quite a while, building on that movement, reinventing it and making it more powerfully arranged. Then it crescendos and a hard-edged riff emerges for a short break, and the cut begins again based on that first movement. It becomes quite hard at times. It builds slowly, but really does build. This number is definitely incredible. After a time it goes to a classically tinged segment, and then jumps to a frantically paced prog metal jam. Really, it makes so many changes in its latter half that it is difficult to describe all the ground it covers. Suffice it to say that this epic is considerably potent and powerful and is possibly the strongest piece the band has ever done.